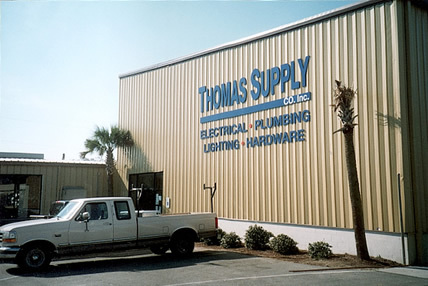 Since 1954 Thomas Supply Co. has been a reputable supplier of building materials to South Carolina contractors. What began for Mr. Edward Thomas in 1954 as a small building supply company in Marion, run by 3 employees, has blossomed into a multi-location broad line distributor with 35 employees and growing. Richard W. Skipper, President, has directed a service-driven supply chain offering leading names in construction products. With headquarters in Marion and branch locations dotted along the South Carolina coast, Thomas Supply is well positioned for future growth. 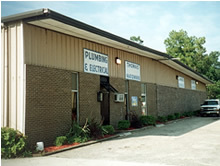 Featuring plumbing and electrical supplies is important to Thomas Supply but there is more. Thomas Supply is built on a reputation of offering quality products like lumber, irrigation, hardware, roofing and siding along with outstanding customer service. Thomas Galleries Showrooms are open to all as a part of the Thomas Supply growth plan. Lighting leads the way into on-site showrooms designed to appeal to every budget. The latest in plumbing fixtures and faucets compliment every Thomas Supply Company showroom. We encourage you to visit one by calling 1-800-734-1781 for your nearest showroom location. © 2013 Thomas Supply Co. Inc.